It's nowhere to be seen: human rights being used to address poverty in Canada. Human rights are a key tool in poverty reduction work in Canada, placing the most marginalized at the centre of policy -- but in communities across the country, it seems as though governments are not connecting the dots. Currently, there hasn't been any notable action by the federal government in addressing poverty. We still don't have a national anti-poverty plan, and in 2013 a bill for a national housing and homelessness strategy was defeated in parliament. With this absence, provincial, territorial and local governments are stepping up. Twelve out of 13 of Canada's provinces and territories have at the very least announced the intention to create anti-poverty strategies. These plans have been met with variable success, but there's something missing from these strategies --a commitment to fulfilling our international human rights obligations. The thing is, we can end poverty in this country. There are over 4.8 million people in Canada living in poverty, struggling to put food on the table, heat their homes and find secure jobs that pay enough to make ends meet. When you look at the statistics, ending poverty seems daunting -- for some it can be easier to shift this priority further down the list for another day. But poverty in Canada is a crisis. Homelessness is a national emergency. Coordinated, comprehensive action is long overdue. Local policy makers have an important role to play in taking action to end poverty. There are tools to assist in making human rights more accessible for local policy makers -- moving the priority up the list. These resources complement, strengthen and give greater meaning to the poverty reduction work that is already being done in communities. The pivotal idea behind human rights is that regardless of who we are or where we've come from, we are entitled to certain rights because we are part of the human family. 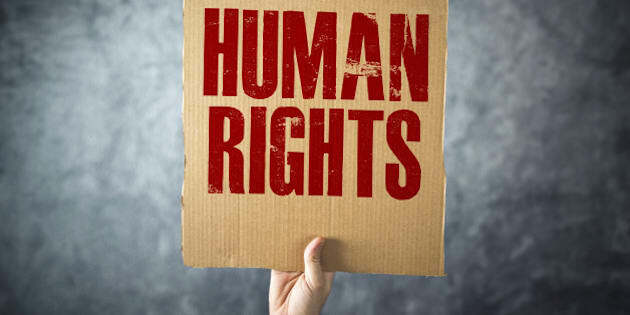 To embrace human rights in a practical way, policy makers need to meaningfully include people in poverty in the development of law and policy; incorporate human rights standards; promote substantive equality; set goals and timelines in anti-poverty strategies; monitor their progress and remain accountable. This doesn't mean that communities should take all these pieces and miraculously implement them in a single day. Human rights are about progressive realization -- the idea that you can take small steps, using one piece of the framework at a time -- but we always need to be moving forward toward a larger vision. In some communities, these pieces of human rights are already in place and appear to be working. For example, in Hamilton, Ontario there has been an increased focus on the meaningful inclusion of people in poverty. Success is due to the Hamilton Roundtable for Poverty Reduction, which brings together people from various sectors with a special focus on people with lived the experience of poverty. Together, these key stakeholders identify which poverty-related issues are important to them and their well-being. The incorporation of human rights standards is another element that has appeared in local policies. In June 2015, Calgary unveiled the Homeless Charter of Rights. This document recognizes that to address the problem, we need to understand the discrimination and loss of dignity that comes hand-in-hand with poverty. Through the realization of human rights, we can end poverty in this country. Human rights empower people living in poverty. They're effective. And for all levels of government in Canada, the realization of human rights are a legal obligation. Some may shrug off human rights as lofty and idealistic, but the reality is that these rights don't just exist in theory, they are guaranteed by several international human rights laws which have been ratified by Canada. As a community, we need to recognize that poverty is not inevitable. If every level of government --provincial, territorial, local and federal -- were to take our international human rights obligations seriously, imagine the country that we could become. We could end poverty in Canada. And human rights are the place to start.